Allure Beauty Box August 2018 Spoiler #1 + $5 Coupon! We have an exclusive spoiler for the August 2018 Allure Beauty Box just for MSA readers! 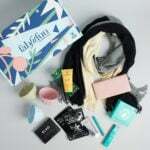 The July box includes seven items and two bonus items! Click here to save $5 off your first box! I havnt even got my box yet. I ordered in June. I have called they said it shipped that was over a week now so idk what to do. They said I would get a email but I havnt what should i do now? Try signing up for informed delivery on the usps website, you can see anything that is on it’s way to you. Does anyone know if you order from amazon do you still get a new subscriber gift? I ordered July’s box last week and it got sent already and is comingbon Tuesday !! I never got boxes that fast when I went though allure. Why is one so much faster?? Allure was my favorite, but lately they have gone downhill! Hate to cancel, will give them 1 more month , if things don’t get better then I will cancel. I’m sure the value is good, but I really can’t take any more highlighters. Also in my 40’s, I only highlight my cheeks maybe once a week….and never with a cream or stick. It’s just not for me. come on allure people, be happy, we can’t always get what we want, I mean if it don’t work for you go to another box, but honestly you can’t buy much at the store for 15.00. this is not a pick your own item box, its what it is….chill. Completely agree. I personally don’t use highlighters but for someone, this could become their HG. That’s the point of these beauty beauty boxes – to try new things. I have been more than thrilled with what Allure has provided the last few months. I love Luna and it’s saved me from a rebuy – for now – at an amazing price! I wish there was a “like” or “love” button because I totally agree with you!!! I agree, it’s the nature of subscriptions. If I use even half of what I get in each box I am happy. I like trying high end products to see what they are like and if they are worth the money. Allure allows me to do that. If you really look at what they send it’s really a great value. In June I couldn’t use the lipstick (bad shade) and this month I won’t use the blue eyeliner, sunscreen powder or the pencil but I love everything else. I’m perfectly happy to gift the few things I won’t use to someone else. I think those that are so upset by recieving repetitive products from multiple subs, maybe should reevaluate and lay off the subscriptions. 😉 This probably isn’t the platform for me to say that. Y’all are gonna fry me. lol I’m thrilled to recieve a highlighter, but I only have two subs and I don’t get them very often. oh yes, allure and a great highlighter….I can’t wait..your the best allure. I don’t use highlighters so they go to my SIL. As for the July box: what am I supposed to do with that red pencil? I don’t wear red lipstick, and it is not going on my eyes. Doubt I’ll even use the blue because I typically don’t wear eye makeup except for mascara. I already cancelled Macy’s, and I’m thinking of cancelling this, and going with Beauty Fix. More my speed as a 40-something year old. As I get older I find I’m more focused on skin care. Would have been happier with this in my 20’s, so I get the love. Please, God, not ANOTHER highlighter!! This is as bad as Play! Just an idea. I got a cream highlght stick last year in another sub and I love it as a base on my eyelids for powder eyeshadows. Every one that I’ve ever tried has just been too greasy. Idk what they’re made out of, but I feel like there are oils in them to make them shinier. Not what I would want on my eyes. It would cause creasing like crazy. I struggle with the creamy stick highlighters and bronzers. They smear my makeup even after powder and make it look clumpy. Has anyone figured out a trick for this? I am very tan. Especially this summer! I use highlighter sticks on parts of my body and not my face. It works great for that! I’m sure it would work great for fair skin too! I’m 43. There’s not a single part of my body that’s not my face that I want to highlight lol. You are so funny, Jamie, and I empathize with you. At 58, I need to be careful with the highlighters. I’m not into highlighting any pores and lines. My daughter-in-law will either use it or put it up for sale on eBay, so it’s not a total loss. Hopefully, it’s shimmer and not glitter. I spent big bucks on a Marc Jacobs eye pencil thinking it was shimmerery bronze, but instead it’s glitter and I couldn’t easily get it off – not happy with it at all. I use it under my foundation! It gives me such a healthy, slow from within look! Even under foundation the problem she’s having won’t go away. Whatever she puts on top of this will just break up. Kind of like using a silicone/dimethicone primer with a water based foundation. They just interact badly. Can’t we please be done with highlighters already? Also anything that’s in a stick (besides lipstick)? Every stick product I’ve tried using just lifts off anything I’ve already applied. The last highlighter stick I used lifted the foundation right off of my face. If the formula is good just put it in a pan with a quality sponge and instructions on how to use it. I feel like sub-par formulas use this stick thing as a sales gimmick. So no, I’m not excited. My 11 yr old will be though. She’ll draw all over her face with it. I don’t wear layers and layers of product. Just normal layers. Moisturizer w/spf. Primer. 1 layer of medium coverage foundation. That’s all. It’s not like I’m caking on 3 pounds of complexion products and complaining when the topmost layer won’t stick. I had to change my card info as well. I was expecting it to go through around the 8th and it didn’t clear my account until late yesterday. Maybe keep an eye on it for a couple more days? I got charged on the 11th. Hoping my box will show up Tuesday (6 day usual), bit earlier is always welcome. That happened to me a few months ago right after updating my card, and it turns out they had cancelled my account. They had a record of my calling and cancelling (I didn’t), which was even weirder. I’d call or email sooner, rather than later. I love my Allure so much. I love most make-up and my favorite thing to recieve is skin care. Between Ipsy and Allure, I feel like I hit the jackpot every month. I don’t use everything, but I do truly enjoy about 80% of what I recieve. The face scrub alone made last month so worth it for me. I’ve been serching for the perfect scrub for years, I will buy that stuff over and over. Can’t wait to try the luna this month and I’m actually pretty excited to be getting a highlighter in August, I hope it’s pretty. At least the shade looks pretty universal. Yep! I think we are sub sisters. I’ve tried every beauty sub under $20 and after 2 1/2 years, I’m still w/ ipsy. Been w/ Allure a year now. I’m starting to get some product overload though. My niece is a cosmetologist and I have a 16 yr old. Usually between the 3 of us this doesn’t happen. I still can’t bring myself to cancel either one and then I just bought another Target Beauty box! Lol! August spoiler: MEH…but I trust Allure will surprise us with some real goodies in that box. Ugh, not something I use. But I’ll pass it on. Amanda, good choice, I love Allure but you might also want to consider Boxycharm…they give 5 full size products each month (and most of them are makeup). A bit off topic but for those who got the second version of the kat Von D box, what shade was the lipstick? What lipstick? I was suppose to get lip color that is why I order the box but they sent me the mirror. Same here. They tried to say it was always meant to be random. Right. So no one got the lipstick they promised? I got the shade Double Dare and the mirror. The lipstick was Double Dare. I mean Bow & Arrow, some got it. There was a lipstick in all the boxes, and a LIQUID lipstick in the second (new subscriber) box. I think Anna’s right on both shades. I was a new subscriber and got the double dare lipstick but not the liquid lipstick. I got the cute mirror and a hand moisturizer. It smells weird but feels phenomenal. I got the mirror and a small lipstick, Double Dare. I got bow n arrow in my box. I read the liquid lipstick was bow and arrow. I ordered off Amazon after the 2nd version was released hoping for the liquid but got another mirror. After finding out the shade released I decided I wasn’t disappointed as I originally thought. I got an email to take a survey and there was a picture included with all the options, according to that, the liquid lipstick is Bow and Arrow. Ive literally been trying to find out for weeks what shade it was! I ended up with the mirror, but I signed up before they did the whole switcharoo. I thought that survey was strange. A photo of the scrub, eyeliner, lip liner, lipstick, liquid lipstick and the mirror with the question did you recieve everything as pictured below? I said no, because I did not get the liquid lip, only the mirror. That was fine, as it is what I expected to recieve. I know a bunch of people we’re irritated with the switch. I wonder exactly what happened? I mean, what is Allure playing at with that survey? Did the other boxes go out with both the liquid lip and the mirror? Not understanding why they would ask that question unless they are trying to figure out who got what. I thought that part of the survey was the same as they usually do- they ask if you got this box, then which specific items you got. Since they sometimes send variations. I have never gotten a survey from them. I’ve also heard there is a beauty profile you can fill out but I can’t seem to find it. There website is so old school and there’s really nothing you can’t do or see in your account except your billing and mailing info. I do love getting my Allure box but they are seriously lacking in there website and customer service. It’s 2018, come on allure. I got the liquid lipstick. It’s Bow N Arrow. I have it up on the swap site, if anyone’s interested. Where is this swap site? I’ve always got stuff that I would like to trade. Thanks in advance! I have a bunch of highlighters but I am looking forward to trying this one. I like the shade. I have so many that are beige-brown a light pink might be nice. I also like cream highlighters better than powder. Oh no!! Do some fans and wet linen clots/ washcloths on the face! Agreed. To the donate or trash pile. Poor soul! I live in Michigan and our A/C went out at home. And it was 90 degrees. I was immensely grateful to work in an air-conditioned office. Best wishes for a quick fix! I don’t really need another highlighter, but this one looks like it could double as an eyeshadow stick so I’ll try it out that way. I love highlighters the more the better I say but I do prefer the cream highlighters to the powders the creams fill in and powder makes a scar I have stand at attention but I am indoors most of the time and need a highlighter. The Tart liquid Highlighter that BoxyCharm sent I just love that. Hoping the next spoiler is better. I already have too many unused highlighters. Still loving Allure, though. Same for me! I have more than six highlighters, for six years lol. 7 items + 2 bonus items = totally awesome!!! I’m sure this stick highlighter is phenomenal, but gosh…I have so many. I’m still working on the Cargo stick from last summer!… and haven’t even tried the Becca highlighter from the December box yet. I hope that’s it for the highlighters. Aloe lotions or fragrances would be really nice right about now. Just saying. I would rather another highlight than a random perfume. Scents are so individual and what one person loves another hates and another is made sick by. I really don’t like getting perfume of any kind in a box unless I know far in advance what it is so I can skip that month if it stinks to high hell. I was so excited to finally see a spoiler for August, then I clicked on it and saw this. If it don’t get ALOT better than this for August, then this may be a good time for me to take a break. I 💯 agree with everyone else- the highlighters have gots to go. Inside and out. We all could have a painting party. It would definitely be colorful and you’d have the most remembable house. Yep. Super over highlighters. They are the one makeup product I hardly ever use. I use them, and I still have truckloads more than I would ever get through. It takes so little that they get used very slowly. I am over hi liters for now. With 113 heat here in Vegas I glow all on my own. I’m thrilled for this, but I am new to sub boxes and my make up obsession is rather new. Amen. She speaks truth. I started out with just this one box and have tried about 20!!! Before I reined myself back in, i was up to 7 a month. Welucne tonthe Sub box party!!! Ugh, I wish I could get *down* to 7 — I honestly admire your self-restraint. What she said, exactly. I’m down to only 3 monthly (allure, beauty fix and boxy) after trying many over the past year and a half. Allure was my first. My name is Michelle and I am a sub box addict. Well, set it off! I love you guys!!! Thanks for the tip, Barbara! I am trying to only feed the addiction so much, but I will look into Boxycharm. I was JUST thinking we hadn’t gotten an Allure spoiler in forever! I just got charged for my July box and am eagerly awaiting its arrival 🙂 As for this spoiler – on the one hand, I don’t need any more highlighters BUT I was not familiar with this brand and just checked out its website. I’m always happy to find new cruelty-free and natural beauty brands, so I’m excited to give this product a try! or the dreaded black eyeliner…. humm. It’s a tough call on the most repeated item. Oh, no! Not another one of those! Just tossed a handful. So not great to ship in summer heat either. It’s time for a trendy product to debut instead of the old highlighter/ bronzer stuff. "Disappointed with this month. Natasha Denosha eyeshadow (bronze color. It's okay) Luxie eyeshadow brush (I hav..."
"The Insta post is also tagged #glambagplus, so I'm speculating that this might be a GBP variant item, too."